@Hunter Lang @Firefish15 @Tamberav @Clown79 - Do you guys think I will need a wave maker? Tank dimensions are 12X12X12 inches. @Hunter Lang - I have a HOB Ehiem Liberty 150. The flow is decent, not strong. Do you think that should be enough? My only worry is, that the wave maker will take up a lot of space and the flow will be too much. 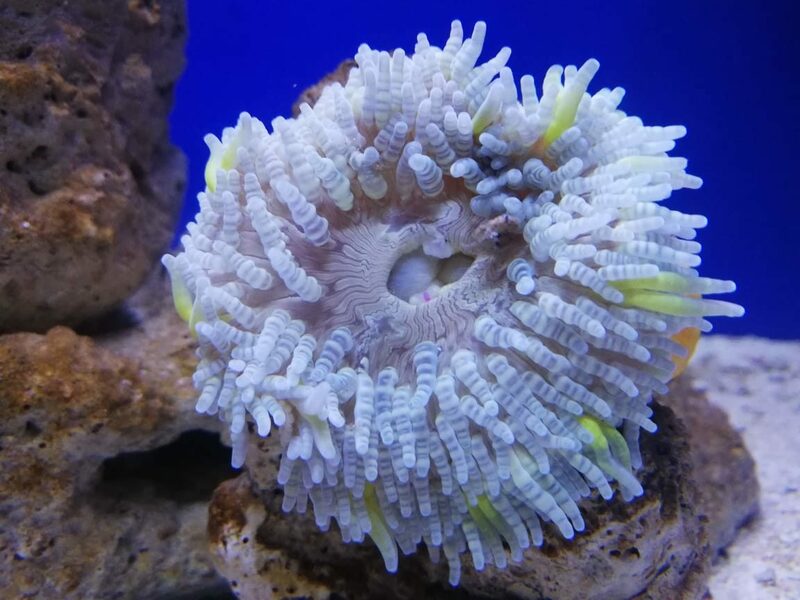 A small powerhead would be good to add because flow is very important to a reef and filter flow is different than a powerheads. +1 above. I generally have a powerhead even in my smaller tanks. for any length of time . Some sort of battery back up for water movement would be needed. Good luck with your new hobby. Its very addictive . I see a bigger tank in your near future. We lose electricity for a maybe a couple of hours every week, mostly on Thursdays. But I have a power backup that provides backup to my entire house, except the air conditioning and the microwave etc. The last major faliure in 2017, electricity was gone for almost 18 hours, but my backup was enough to keep all my lights, fans, televisions, etc working. So I think it's gonna be okay. You are right about this being addictive. I started with a fish bowl 2 years back. I now have 6 freshwater tanks, with plans of more very soon. If freshwater is so addictive, I can't even imagine how crazy marine and reefs is going to be! Multiple tank syndrome is a legitimate sickness! Just don't let the hobby get between you and your wife! invested in your new hobby and a power generator is a must as I discovered the hard way. Have fun and post some pics soon. @dling. Absolutely, I plan to start the project in the next 2 weeks or so. I'll post pictures. Thanks a lot for all your inputs. 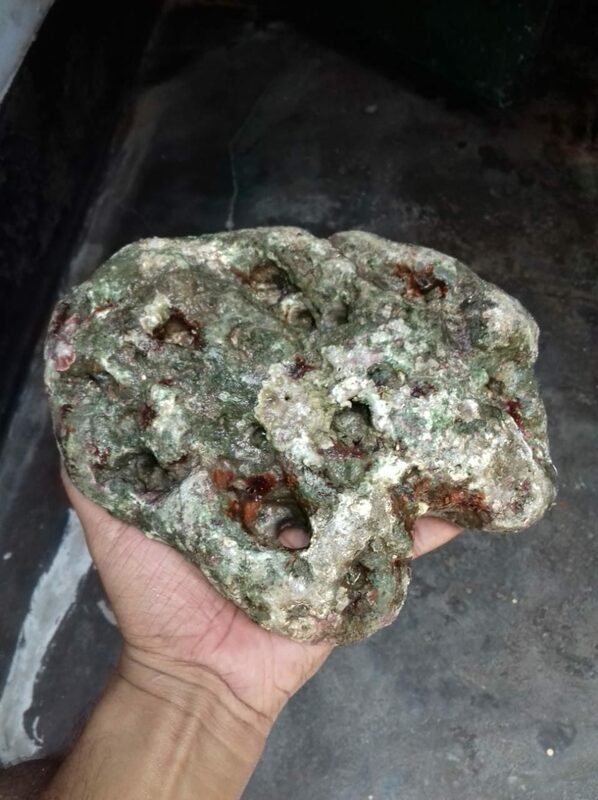 @dling @Firefish15 @Tamberav - After searching from pillar to post, I've finally found someone who's selling me rock that he claims is dry reef rock. I've attached a couple of pictures. Do you think this'll work? I'm hesitant because it's dirt cheap, about $3 per kg (2.2lbs). Looks OK. Would be nice if it where a bit more porous, but it will work. I doubt I'll be able to get something more porous @dling. 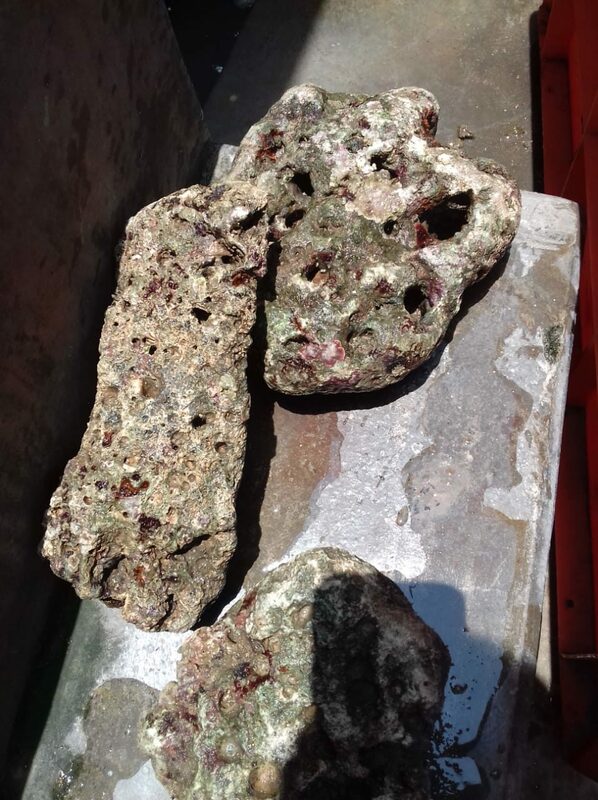 Live rocks are banned in India. This is my best bet. To add to this, I'm going to add Sera Siporax filter media in my Ehiem HOB filter. Plus use Seachem Stability once a week when I change 25-30% water. You should be fine depending on animal load. Just start slow . Lighting and water changes are not nessary at the beginning. @dling, I'm thinking 1 cleaner shrimp, 2 gobies & maybeee 1 clown if it's all going well. 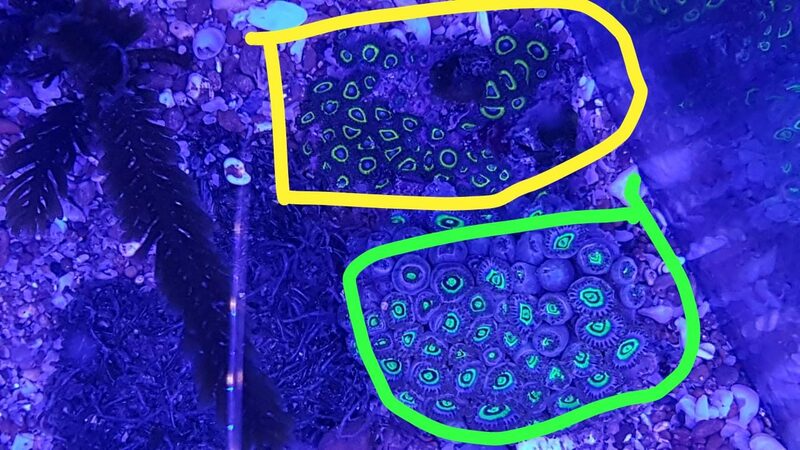 Also, here are a few pictures of anemones and corals that the guy has in stock. 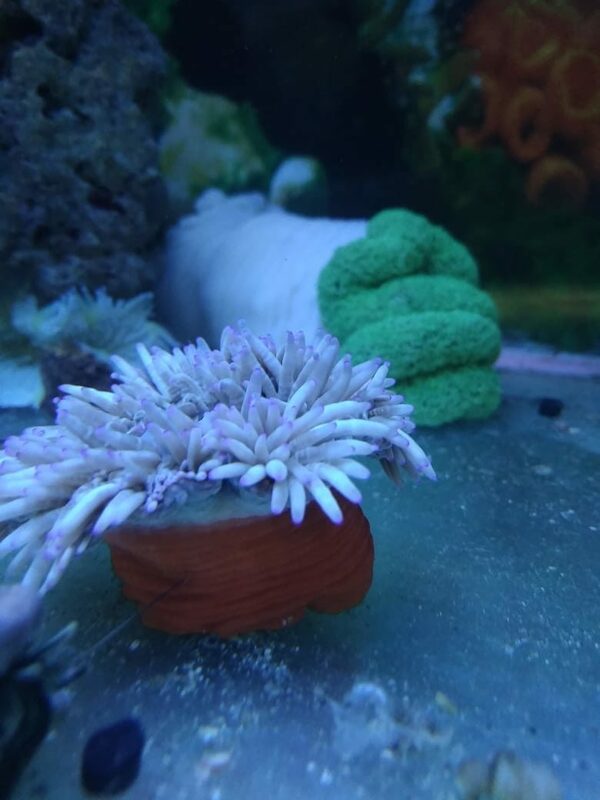 I could identify carpet anemone and bubbletip, but I have no idea what the corals are called and if they are beginner corals. 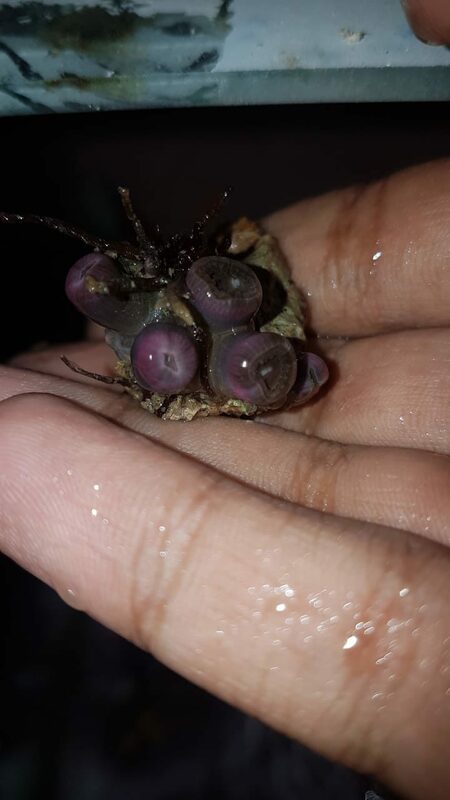 Could you help me identify them. in the tank with them. They stay in my Elegance coral. Its not what I would prefer . Do you have the tank up and running? I was looking at your first post about what you plan on using . Do some research on the lighting you plan on getting. The corals that you have circled in the pics are zoanthids. 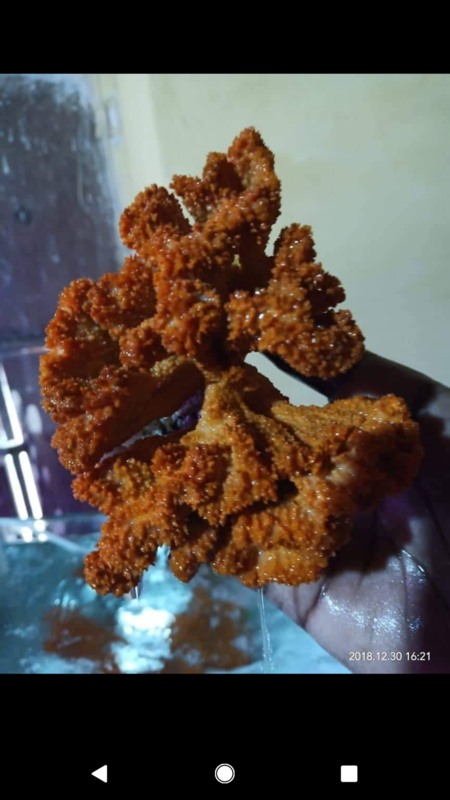 They are generally considered beginner corals. About lighting, I'm either going for a Zetlight Aqua Mini OR LuminiGrow Asta20 OR Hipargero 30w. I am yet to decide which. I really do want a clown, but I may skip it since my water volume is too less (7.48g to be exact). From what I read, a clown is recommended in tanks that are 10+g, and even then maybe just one clown. 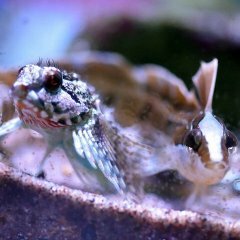 I want atleast a couple of fish in the tank, so I may go for 2 firefish gobies along with 2 cleaner shrimp and a few rocket snails. I don't want to overload my system, since I don't have a sump and my main biofiltration will be Sera Siporax Mini Professional (in the Ehiem HOB), Aquaforest Dry Reef Rock (yes! I found it in India! It's synthetic, but what the heck, I have to make do with what I got) and Caribsea Live Aragonite Sand. I also plan to run Seachem Purigen and do 30% weekly water changes. I may not add a Skimmer (lack of space) and rely mainly on my water changes. 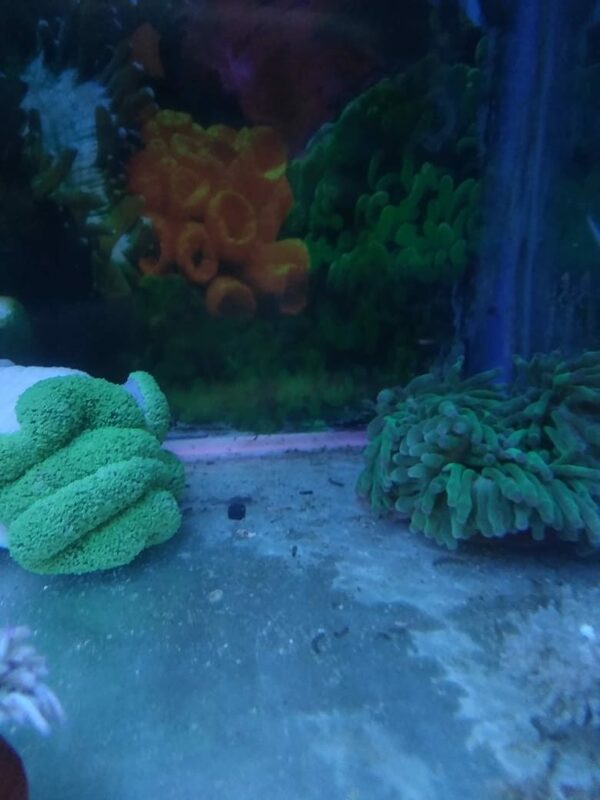 I wanted 2 anemones (1 bubbletip and 1 carpet), 2 zoas, 1 GSP, 1 sponge and 1 other coral (haven't decided which one). 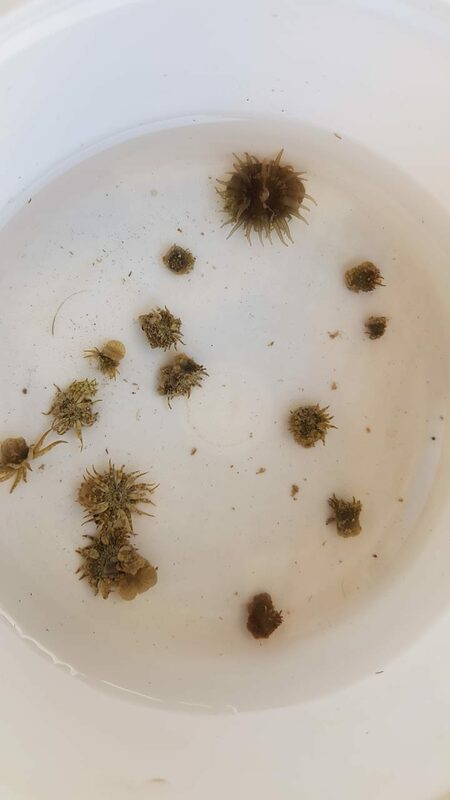 Will the invertebrates, livestock, anemones and corals be heavy my bioload? If yes, how much? I plan to start with the invertebrates first (after the tank cycles), livestock next (in about 2 weeks), followed by anemones and corals (after I measure my parameters). You think I should be okay? Be careful with the carpet. They can get very big under the right conditions . Start with the clean up crew then move on from there. Little by little. A small tank can get overloaded quickly. You want to allow the bacteria to keep up with the animal load. 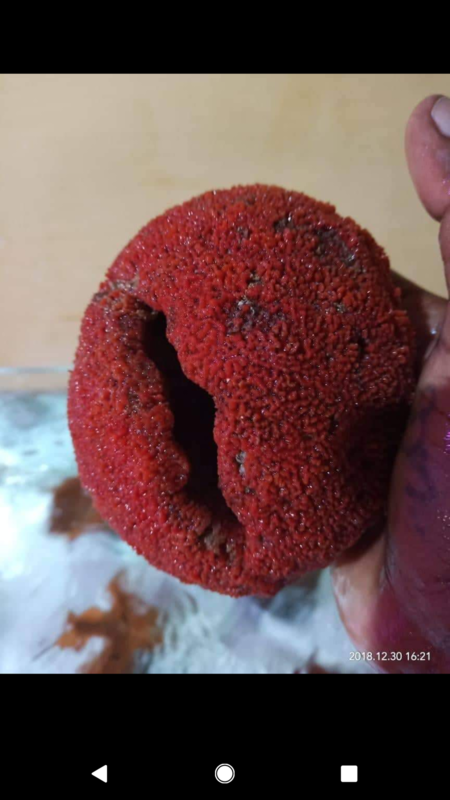 Sponges can be difficult in a small tank, due to them being filter feeders. They also don't like turbulent water, just laminar flow. The GSP may also become more prolific than you want - they can take over large swathes of rock. With two fish, you'll probably have to be very diligent with water changes, just a heads up. @Firefish15, thanks for the heads-up. I think I will stay away from the sponge. But I really want a GSP. How fast do they grow? And will it have an adverse effect on the corals around it? Is it difficult to prune? Also, instead of a 30% weekly water change, if I do a 15% water change twice a week, do you think that will be more beneficial? One solution for the GSP is to have it isolated on its own rock in the sandbed. That way, you can cut any tendrils looking for a way off the rock. They can overgrow docile corals if given the chance. Smaller, more frequent water changes are better in terms of stability in water parameters. It is more work though, so you'll want to work out a routine that lets you do it easily.